New York’s DramaFever announced today it raised another $1.5 million with backing from AMC Networks, NALA Investments, Bertelsmann Digital Media, and others. This is in addition to the $4.5 million the Internet TV startup raised in March in a round led by MK Capital. Seung Bak, a co-founder of DramaFever, says the latest funding helped establish new relationships for his company and will accelerate expansion. Sandy Grushow, the former chair of Fox Television Entertainment Group, signed on as a strategic advisor with DramaFever in conjunction with the latest funding. 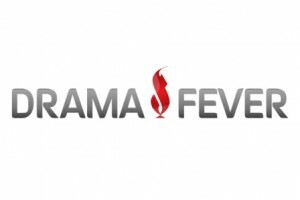 DramaFever is a Web and mobile portal for distributing television shows and movies from international sources in markets they do not reach on their own. The three-year-old startup provides content, mostly for free, from Japan, Korea, and other countries. Bak says his company plans to further diversify its content by the beginning of 2013. “You’ll see DramaFever going from a largely Asian TV-oriented service to one that is much more international in its scope,” he says. That is expected to include content from Latin American countries and Bollywood. DramaFever has a library of more than 400 titles that can be viewed in the United States, Canada, Guam, and Puerto Rico. The company also provides curated Korean drama shows to Hulu. DramaFever has raised some $7.8 million since 2009, and its backers include Allen DeBoise, CEO of Machinima; Matt Coffin, CEO of LowerMyBills.com; Steve Chen, co-founder of YouTube; and StubHub founder Jeff Fluhr. I believe this fund will greatly give them a better boost. Internet TV gets more better.